So. It's been a full year that I took off of this blog. But there's a lot I want to include for the year ahead. I want to bring great, relevant content for those that have less-than-stellar kitchens and just want to make SOMETHING GOOD. I want to bring the extraordinary to, not just the ordinary, but to the downright crappy. 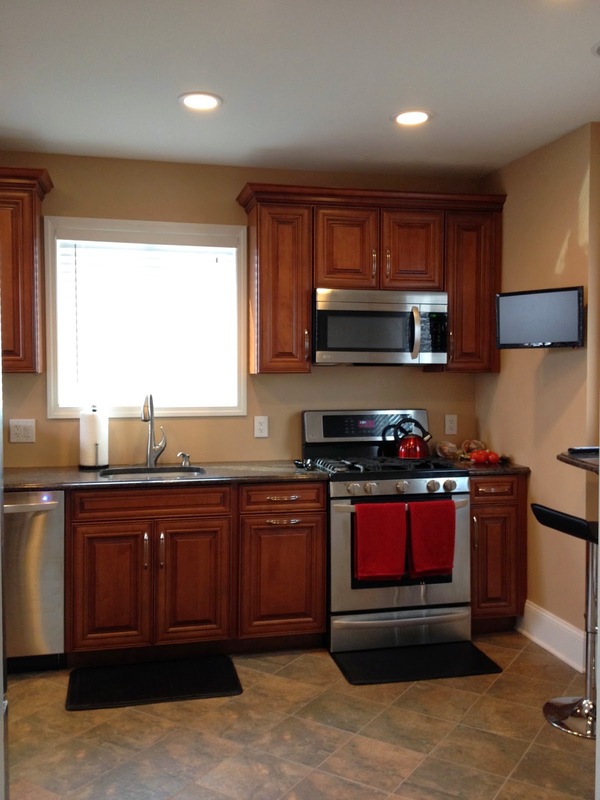 Truth is, we all don't have the budget or the ability for a chef-style, gorgeous kitchen. Sometimes we have to rent out of awful, 1970s electric ovens that are unevenly-heating AT BEST. Stay tuned, friends, and thanks for sticking around. Tell me what drags you down and I'll life you back up. As much as I'm not ready to admit it, Pumpkin Spice is making a comeback for 2014. Starbucks launched their famously overpriced and unnatural, yet incredibly delicious, Pumpkin Spice Lattes in their stores either today or sometime around today. Yes, they're good, but they're expensive, and full of weird things like caramel color (a known carcinogen) and corn syrup derivatives .. plus things they won't disclose because "they're individually handmade and customized." Sounds weird. I'm trying to make the effort to not eat as much crap as we tend to do in our lives. 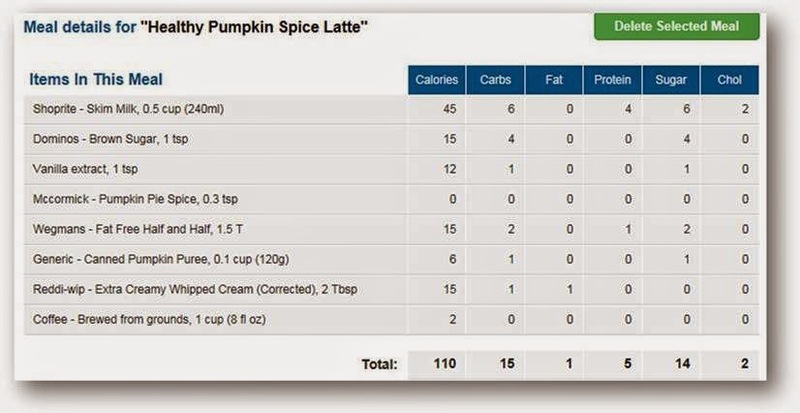 While skimming FB, I saw my friend from college, Heidi, forwarded this link along on how to make your own Pumpkin Spice Latte. She loves it and so I figured I'd pass it along now, in my own voice, just in time for the Autumn hit just ahead. This is not my picture or my original recipe. Just sharing the love. Click this link for the original source. - Whisk it all together and microwave for about a minute and a half, watching it so it doesn’t froth over and make a mess. 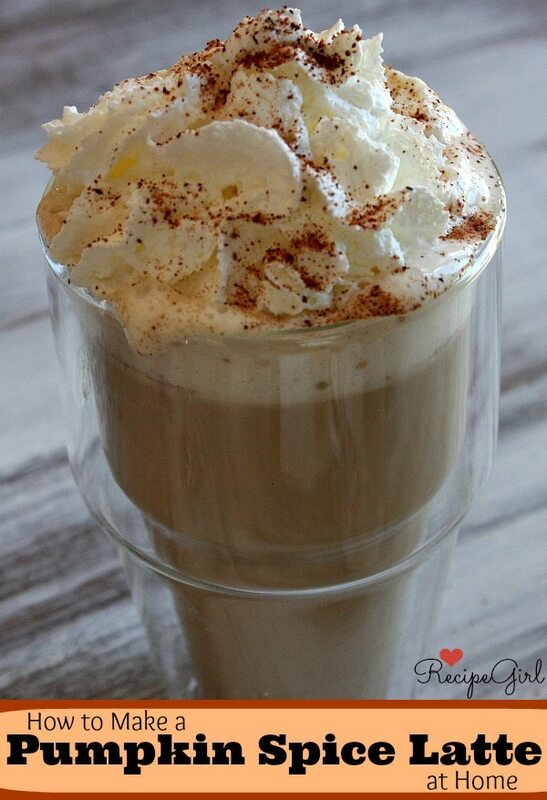 - Pour this hot pumpkin milk into a tall mug or glass, and top off with 8 oz hot coffee. - Add a little nonfat creamer and Splenda to taste. 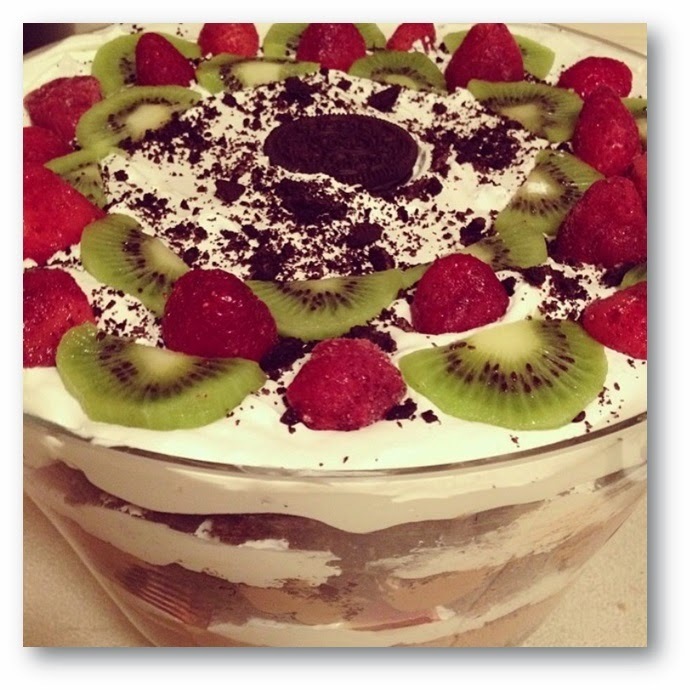 - Optional – add 2 Tablespoons whipped cream and a sprinkle of nutmeg. Voila! - NOTE: I've been advised not to really drink all the way to the bottom of the glass .. the natural pumpkin in there may make it a little too thick to be palatable. Your choice! I looked up the nutrition facts of all these ingredients .. it comes to 95 calories, 0 grams of fat, and 14 grams of sugar .. if you add the whipped cream, it bumps it to 110 calories, 1 gram fat, and 14 grams sugar. 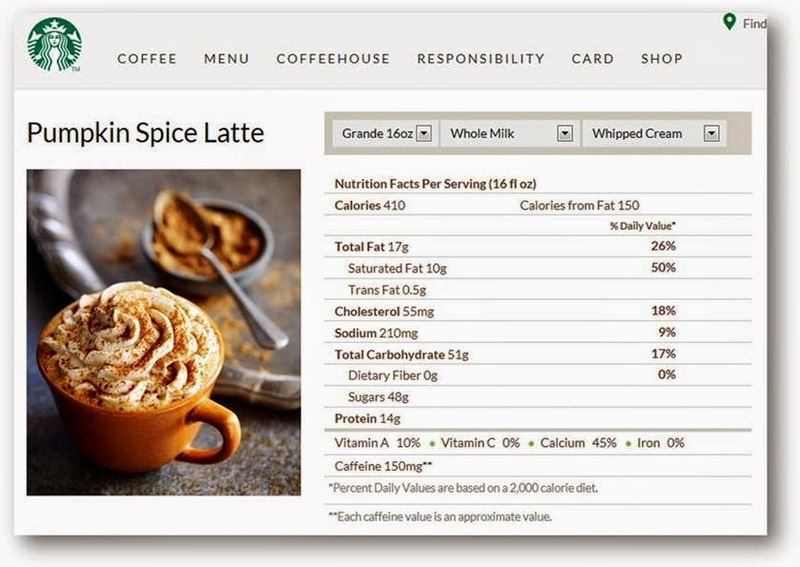 Compare this to the 340 calories, 10 grams of fat, and 47 grams of sugar found in a regular grande Starbucks PSL – and that’s WITHOUT the whipped cream! That bumps it to 410/17/48! Even if you use nonfat milk in the Starbucks version, you're still WELL over 200 calories and an astronomical amount of refined sugar. I have to say, that's just not good for you. Enjoy, and save your money and waistline! I literally just ate this. As in, the empty bowl is beside this laptop as I type. And it was so good I had to post the recipe immediately. Mondays normally find me back home with Lumen after spending my weekend with E, friends, and plenty of heavy, guilt-inducing food (and drink(s)). While poking around the internet deciding what to make for dinner tonight, I came across this recipe and figured I'd give it a shot for myself. It seemed simple enough to make quickly, light enough to assuage my guilt from all the gin consumed the previous three days, and judging by the ingredient list, I knew E might like it. Now I'm convinced. EVERYONE will like this recipe. Except if you're one of those people who thinks cilantro tastes like soap. In that case, I forgive you; just omit it from yours. I've made some modifications from Meg's version - and I'm telling you, this isn't just a side dish (though it can be). I ate a big ol' bowl of this for dinner and I am fully satisfied. It's fully vegan vegetarian (can be made vegan by swapping out the honey for agave syrup or brown rice syrup) and yet still full of protein! I ate it still warm but you may refrigerate this and serve chilled. If you are a newbie to keenwah quinoa, don't let it intimidate you. 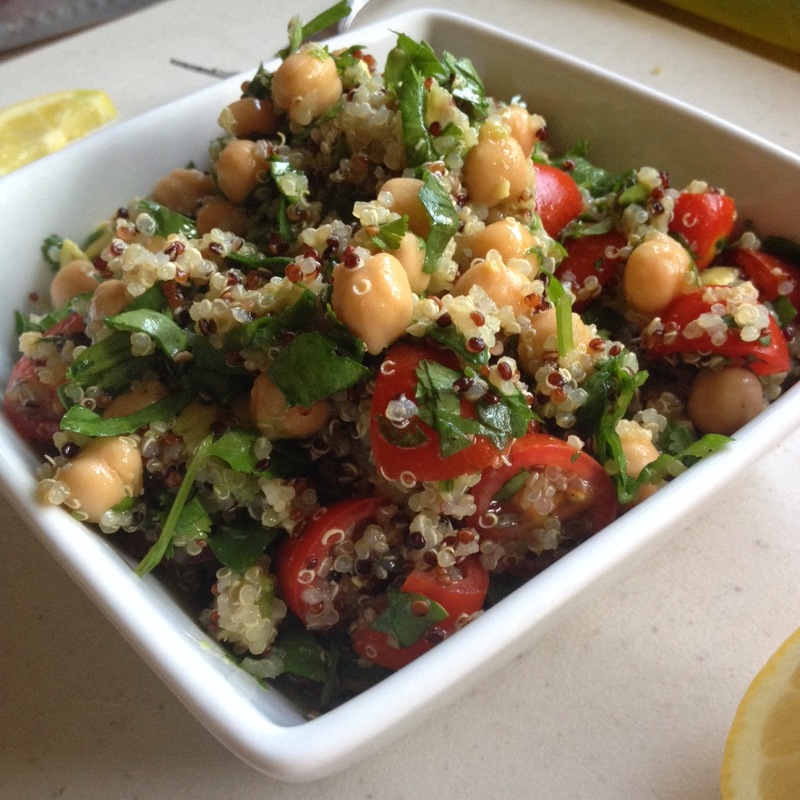 The other flavors in this dish are what sing; the texture and taste of the quinoa simply enhance it. 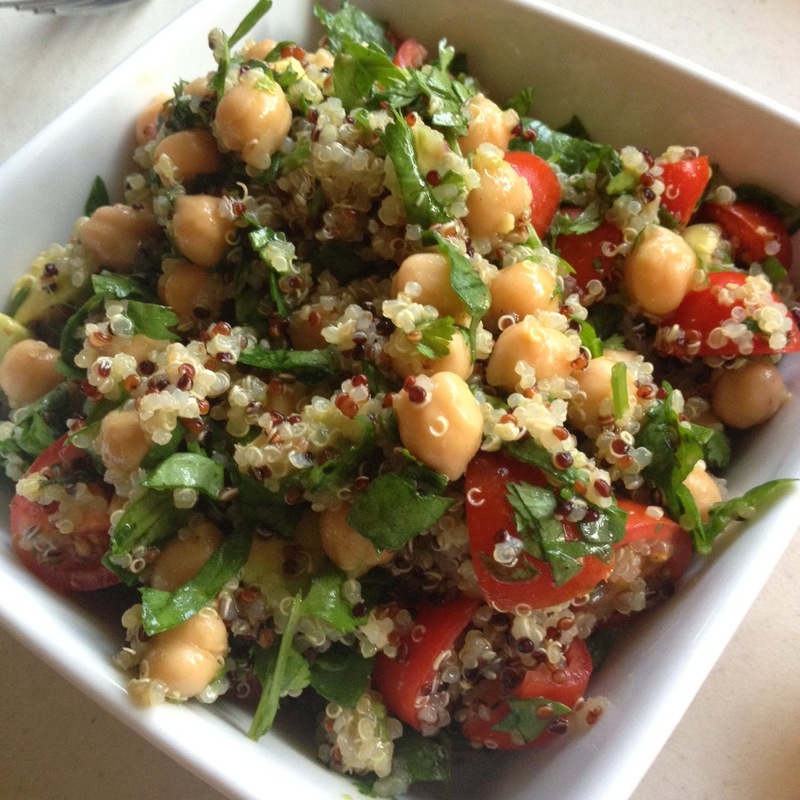 Enjoy this light summer salad! Let me know what you think. 3/4 cup dry Quinoa. 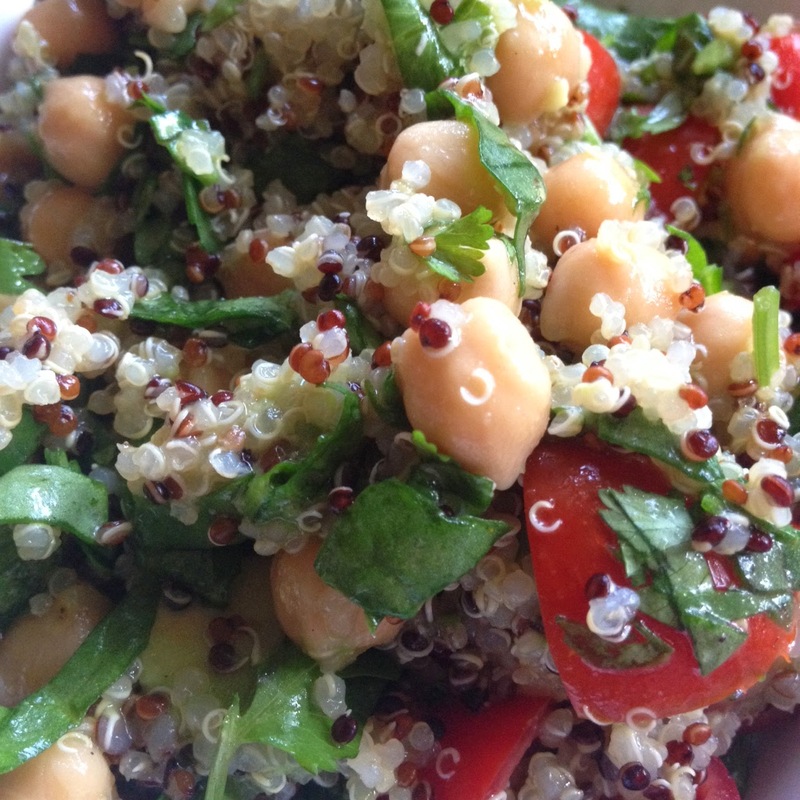 I used Shoprite's brand of tri-color quinoa, which blends white, black, and red grains. Really fantastic - and store-brand so extra-cheap! I will forever sing the praises of Shoprite. 1 and 1/2 cups Vegetable Broth or Water - the broth is optional. Tonight I made the quinoa with just water as I know I have a brand-new box of veggie broth at Eric's and I just couldn't see myself buying another. The broth will make it more flavorful but, since there's so much going on in this dish already, it really isn't critical. 1 cup Cherry Tomatoes or grape tomatoes, cut into halves. I used only red this time around, but next time will use both red and yellow tomatoes to enhance the sweetness. It's recommended to rinse your quinoa before cooking, not really sure why, but I found this left me with clumpy quinoa that was almost impossible to deal with. Your call. In any case.. Combine diced cilantro and spinach in a large mixing bowl. Add garlic, red onion, garbanzos, and tomatoes and stir to combine. Then add quinoa and stir to combine. In a separate bowl, combine lemon juice, mustard, olive oil, honey, and seasonings. Whisk together. 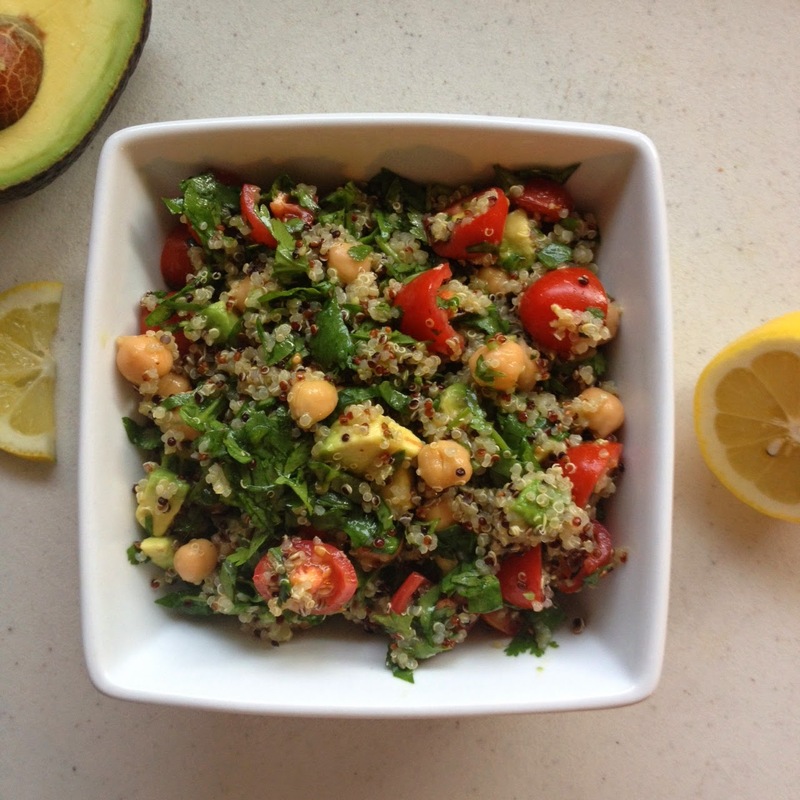 Pour this dressing into the garbanzo salad, add diced avocado, and toss lightly so as to not squish the avocado. Serve either still warm, or refrigerate prior to serving. E and I go to Martha's Vineyard at least once a year to visit good friends and have the time of our lives. It's our special place - the first vacation we took together, the first place we exchanged I Love Yous, the place we eat and relax like we wish we could live daily ..
And now it's the place where he asked me to be his wife. 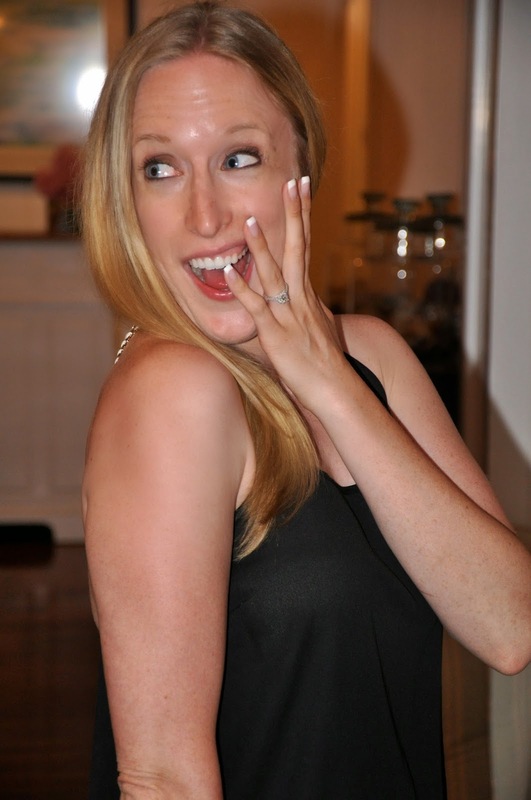 E proposed on Saturday, June 7, 2014 atop the Cape Pogue Lighthouse on Chappaquiddick island, timed exactly at sunset, staged to be a surprise, had a photographer friend on-hand and ready, and it was completely, utterly romantic. I have never been happier or more sure that he is the man I want to spend the rest of my life with. 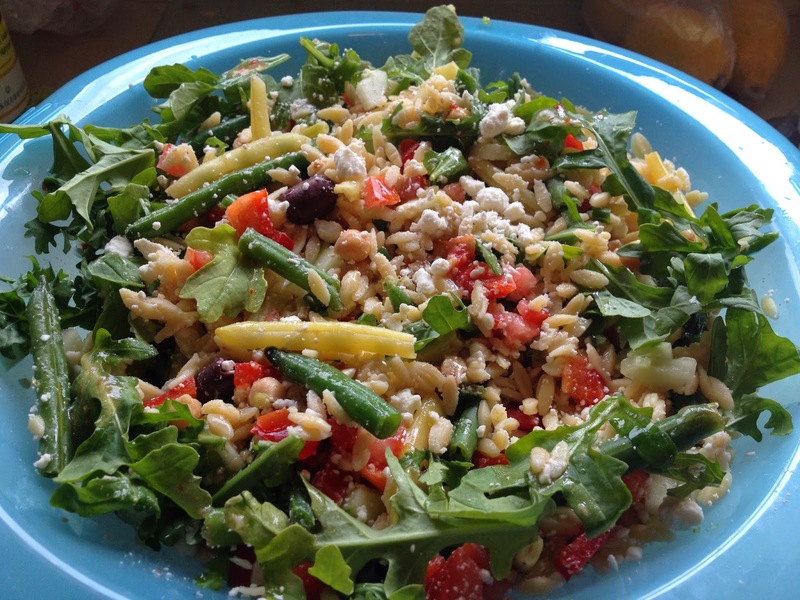 While on our last trip, we went to a restaurant that starred this amazing Summer Orzo Salad. I'll be back this week with the deconstructed recipe. Thanks! Today, I am deliriously happy. WE are deliriously happy. Special thanks to Erin at Living In Yellow for the shout-out in today's post! I loved my outfit and so did E, of course :) Check Erin's blog out, especially today - she is a riot and an excellent writer.